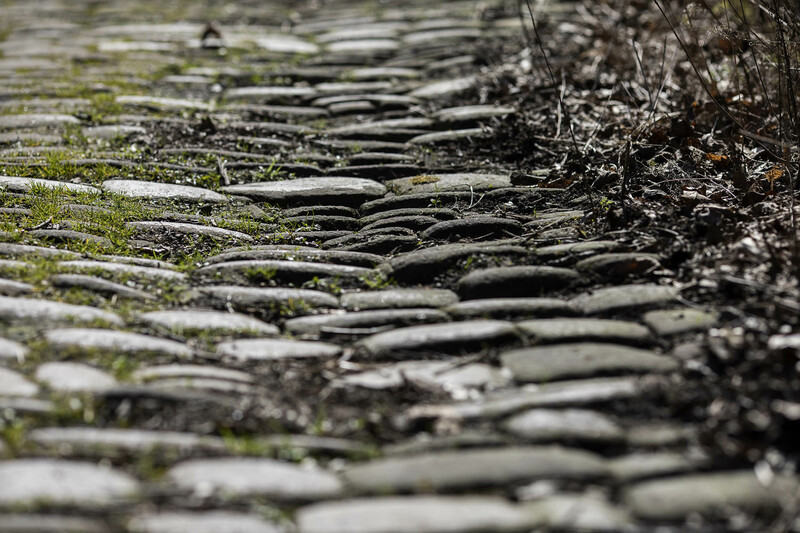 The stages on which many of bike racing’s most iconic moments have played out, seemingly innocuous stretches of cobbled road in Belgium and Northern France are as much a part of cycling folklore as those who have ridden to victories over them. 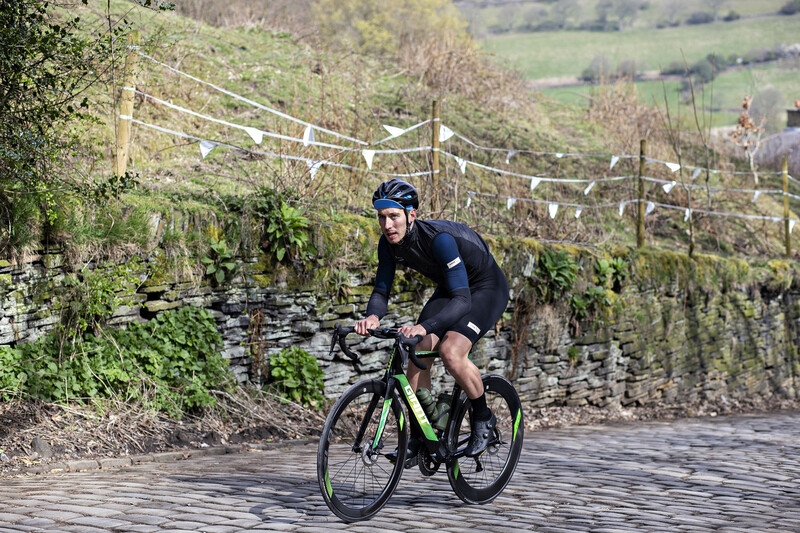 Without the racing history of their Flemish and French counterparts, the cobbles of Northern England are far less well known. 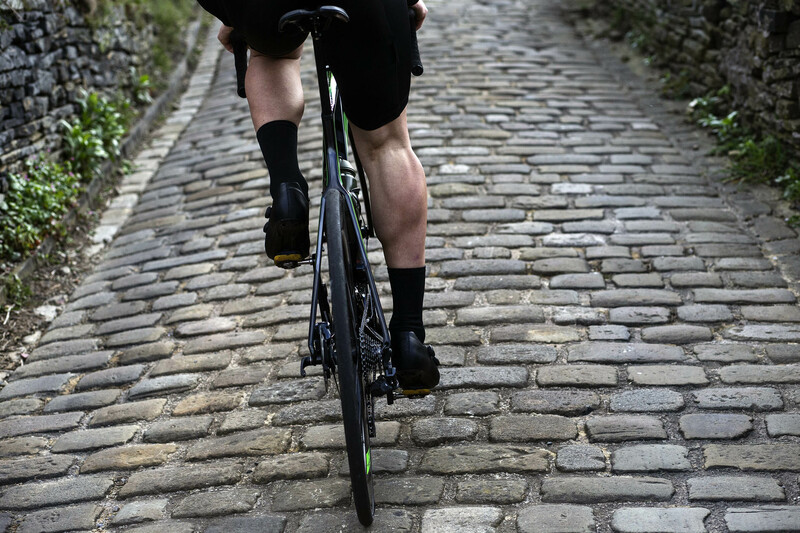 There are cobbled climbs on these shores that are the match for anything you might try and ride in Europe, though. 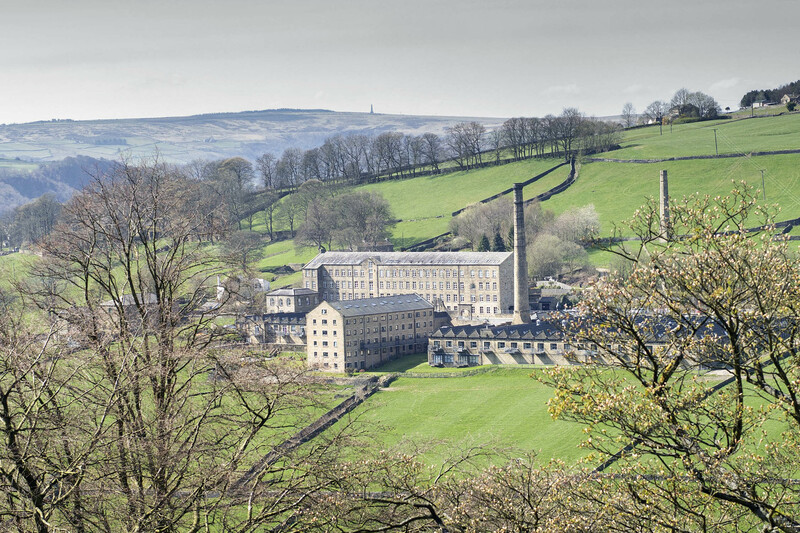 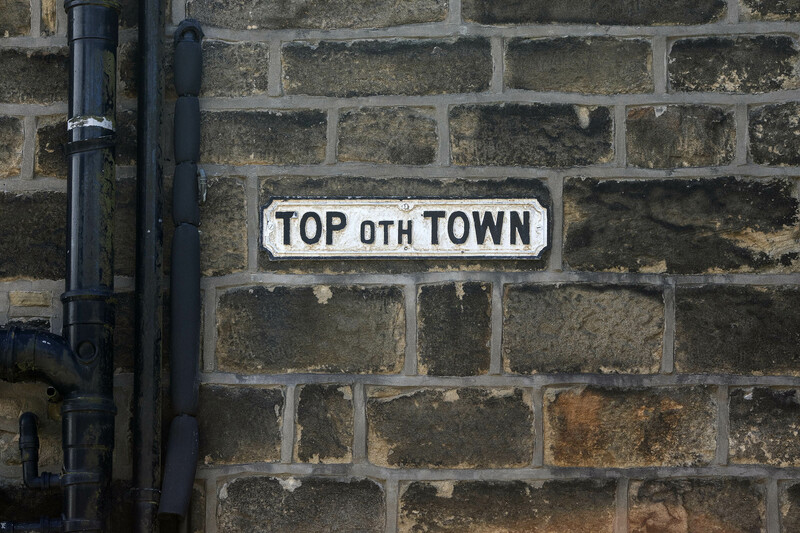 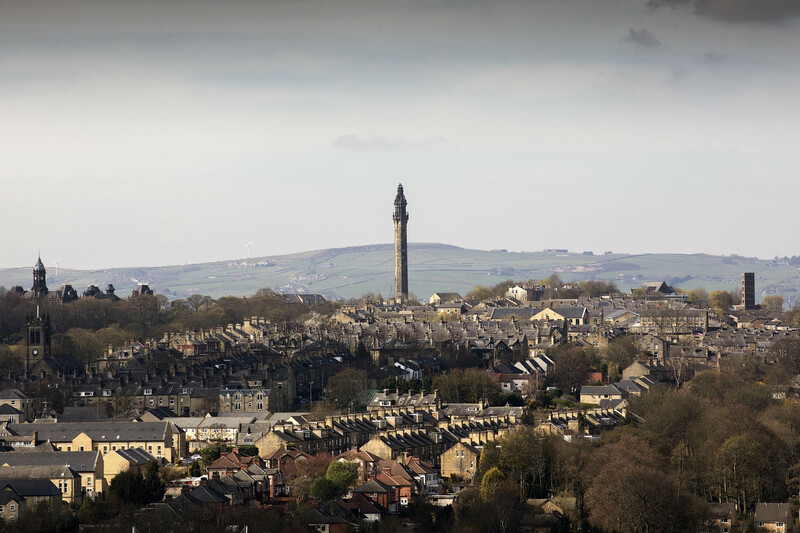 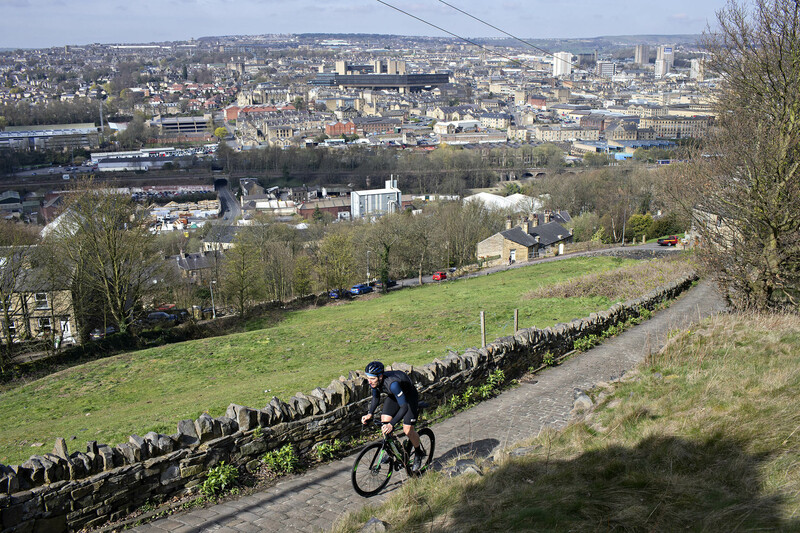 Calderdale is the southern most of the Yorkshire Dales, and could lay claim to be the home of cobbled roads in the UK. 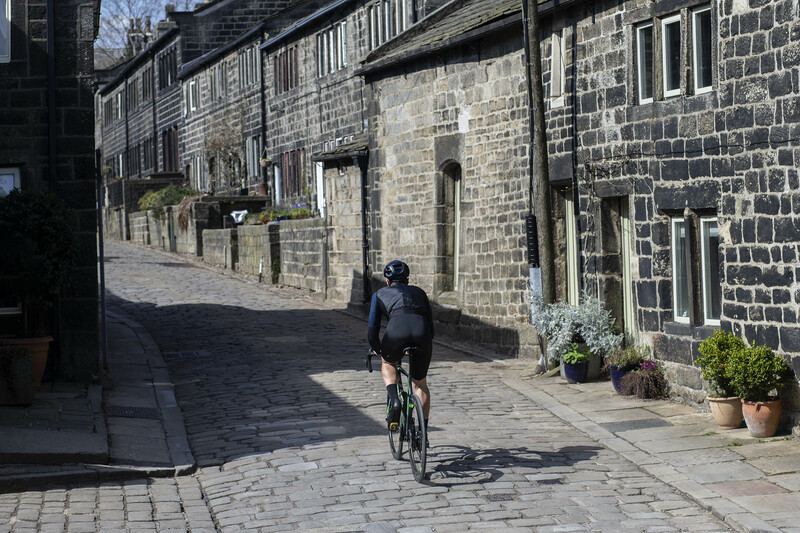 Trooper Lane and Shibden Wall in Halifax, Luddenden’s Old Lane, and the climbs of Horsehold Lane and Heptonstall in Hebden Bridge are just some of Calderdale’s cobbled climbs that make their way up the valley’s steep hillsides, and which can all be tackled in quick succession on a short ride. 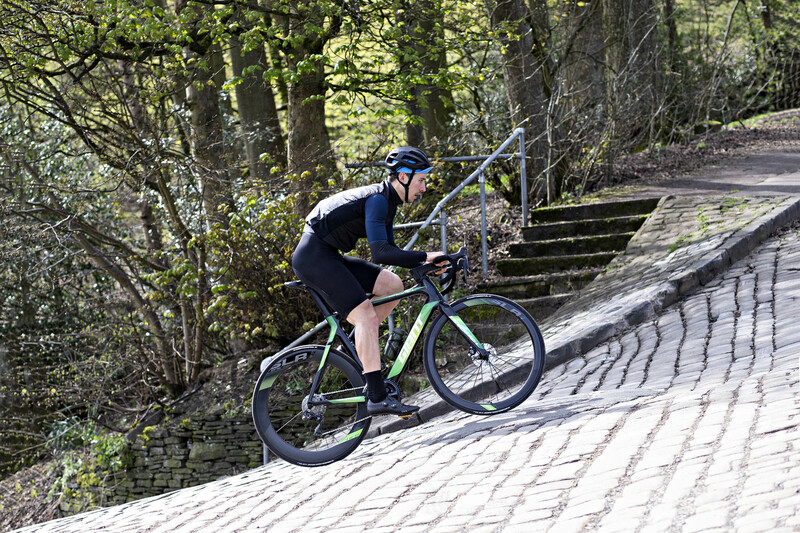 The Tour de Yorkshire featured an ascent of Shibden Wall in 2017, and events like the Ronde Van Calderdale, a yearly ode to the spring classics taking in 14 cobbled climbs in its 122 kilometres around Calderdale and Kirklees, have helped put the cobbled roads of the area on the map. 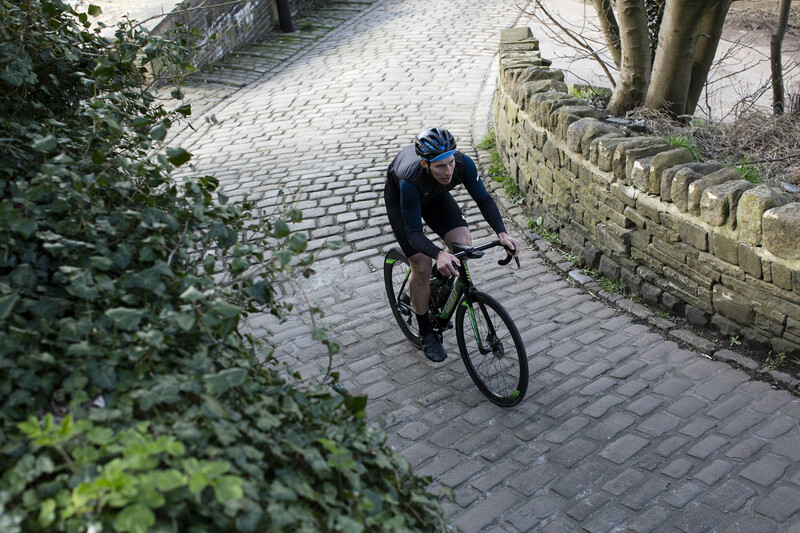 This weekend we met up with Yorkshireman Damien Clayton, rider for Andy Moore Autocentres Racing and currently British Cycling’s top ranked Elite rider, on a perfect spring day to tackle some of Calderdale’s fabled cobbled climbs.